Ever heard the expression “No matter what you are trying to say, chances are, someone has already said it better?”That’s my stance when wandering. Courtesy aside to the writer of blogs I’ve read every time I do my research, they write and describe the places so well. But as they always say, beauty is in the eye of the beholder. Yes, I am pleased and excited but my satisfaction will only be guaranteed once I get to see these places myself. Another long road to blissful escape set for the weekends: Alibihaban Island (some spelled it Alibijaban). 8-9 hours road trip all the way down to San Andres Quezon and 20-30 minutes outrigger boat ride to the island is what we have to endure to see this piece of paradise. Alibijaban is a small yet self-sustaining community. They have schools and small stores for their daily needs. Despite the scarcity of having a convenient life from an outsider’s perspective, I saw and felt that they are happy and contented with what they have. No all day supply of electricity and fresh running water. This simple community rests just in front of the shore fronting the mainland of San Andres Quezon. They stem on fishing and copra farming as their main source of income. The island with a small community has kept its white sand coast clean and beautiful. A local said that they maintain it this clean and would usually be untidy on very few occasions which happens after a typhoon has swept the gulf. It was 7 in the morning when we finally got a glimpse of Alibijaban Island. We settled our things. Some started pitching their tents and tied their hammocks. Several minutes past we hop on the boat and started discovering the riches of the jewels of the place. As we wander around the island, we left some of our cooking stuff to be prepared so when we go back, lunch will be served. As the boat started to cruise in the open sea, I can’t help but be amazed of the turquoise water surrounding us. Perfect seascape with stunning rock formations added delight to our cruise. First stop was the snorkeling site where we can enjoy magnificent underwater world. It just so happen that the current were fierce but this did not hinder us from doing our thing. We had the entire island ourselves!!! During our snorkeling and swimming activity, our boat gave up, the frame on the sides gave in so we had to go near the shore to have it fixed. I think, it’s also a blessing in disguise as we had the chance to some group pictorial on the rocks. A perfect spot for photo Ops. We were taken to another great spot, white sand with mangroves surrounding it. I think this spot can be a great location for Survivor. There is a wooden cottage where you can have lunch for a fee or just take a little rest while enjoying the surrounding. From afar, we can see the location of the sandbar, unfortunately it will take another 1-2 hours for it to appear. Majority are already hungry so we decided to go back to the base camp and have lunch instead. After having lunch, most of us if not all took some well deserved rest in preparation for our sand bar exploration. It was past 3 in the afternoon when we decided to go. We thought that the boat will be able to take us there, apparently the water is too low so we have to walk. Though the sun is scorching hot, I am still able to enjoy view as we walk towards the sandbar. Passed by some rocky shores and another line of mangroves. As we go near the sandbar, the view is just fantastic. The sandbar is a stretch of semi powdery white sand surrounded by crystal clear water. The surrounding water was ideally calm when we got there, the mangrove sanctuary served as its the picturesque backdrop.We tried to enjoy it as much as we can. The sand was generally smooth, but there were rough areas, as well.Nonetheless, swimming in the clear blue waters was a breeze Of course, the photo ops. We had plenty. Tired of jumping, swimming and other acrobatic stunts we did, we went back with smiles. We freshen up and prepared our dinner. While the others are cooking, i tried to sleep, and yes I did. I was just awaken when I felt splash of water above me. Yay! I wasn't able to set up my tent with flysheet and it rained. I hurriedly grab the flysheet and went back to sleep. The rain stopped after several minutes. It was past 8 in the evening when we satisfied our gastronomic needs. Socials, ‘getting to know’ and a lot of travel fun was shared during the after dinner activities.We were talking so loud that I can hear everyone from a distance. We call it a night past 12 midnight. I had a great weekend in Alibihaban Island with superb travel buddies. Coming to work straight from this trip is something I did not mind. I am rejuvenated and at the same time grateful for another experience in this simple yet breath taking paradise. Who said traveling needs to be expensive? Nah! When it comes to budget friendly paired with an active night life at the beach, Puerto Galera in Oriental Mindoro should be your choice. Aside from being pocket friendly, it’s also very accessible and well developed. Some people dubbed it as a Poor Man’s Boracay, oh well, that’s for me to find out. Heard great and not so great stories about Puerto Galera years back and now I got the chance to see and experience what it has to offer. Packed with an overnight gear and curiosity, it’s time to explore ‘One of the most beautiful bays in the world’ PUERTO GALERA. Puerto Galera is the northwesternmost municipality in the province of Oriental Mindoro, Philippines. It is located at the southwestern end of the Isla Verde Passage, about 130 kilometers (81 mi) south of Manila. 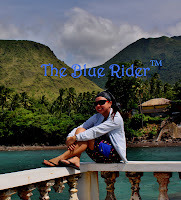 From Manila, it takes a two-hour bus ride to Batangas Pier, and then about an hour's boat ride to Puerto Galera itself. Accommodations on White Beach are relatively cheap including restaurants that serves filling eats at fair prices. It’s my first time to be in Batangas Pier and it looks pretty decent. Ships can even take you as far as Cagayan De Oro. Great information to know, just in case I wanted a different travel style then I may take this route instead. Upon reaching the Port, we were accommodated flawlessly as stated in the package we took from the resort. Walked few meters and off we go to the ferry boat that will take us to Puerto Galera. The sea is calm at first but after 30 minutes of cruising, water started to splash and the boatman have to cover the windows, so we ended having a sweaty, uncomfortable ride. Nonetheless, we docked safely. Welcoming us upon arrival was a stretch of semi white fine sand and clear water. More than that, I also saw some beach activities on going: Jetski ride, Banana Boat Ride, Parasailing, Kite Surfing to name a few. Now I know why it has been hailed as a poor man’s Boracay. Puerto Galera is also known for its prime dive spots, so the money you save by getting cheap rooms and cheap food could be spent on exploring the underwater wonders of the island. Our accommodation is few meters walk from the beach. We settled our stuff and had late lunch (we got breakfast meals though). After which we started exploring the beach while looking for another place to satisfy our gastro needs. Few meters from our place, we found FoodTrip sa Galera. It’s a 24/7 eatery that serves unlimited garlic rice so you can really make the most of your money. We got the volcano pancake and some rice meals. Satisfaction guaranteed! After having a great lunch, it’s time for beach bumming and bonding session by the beach and a great splash in the water. Of course we tried the island’s signature Mindoro Sling - a cocktail mix of various kinds of alcohol. And the most awaited part is here, though I am not fond of beach parties, I am just excited to witness the fire dancers doing their thing. In addition to the breath taking fire dancers, each restaurants have their own shows to keep the customer entertained. First day ended with grateful smiles for all the things I witnessed in the Island. It’s time to get those muscles rested for next day’s adventure. Exactly 7 in the morning when we took a tricycle to the jump off point (Minolo Pier) for the island hopping. We got the Island Hopping and Snorkeling package at Php 200.00/person maximum of three hours. We were taken to the Snorkeling Site but unfortunately we were not able to enjoy it as there will be extra charge to get near the sanctuary. A small motorized boat will take you there to enjoy the underwater world. Maybe next time when we have enough time. We content ourselves just swimming in the deep blue waters in the island. A little satisfied stretching those arms and legs and swimming just around the boat, we were taken to the nearest beach to have some snacks and another round of photo session. I love the serenity and the natural scene in this part. At a distance you can see coconut trees dotting the coast. I just didn’t feel like swimming here though because of the sea urchins scattered all over. We just grab halo halo and some group shots, jump shots and all shots we can think of. It was a short but sweet memory of Puerto Galera. It felt good that it somehow exceeded my expectation. It is a tropical paradise that is both rustic and thriving. By day it echoes with the soft breeze and the pounding waves. At night, it comes to life with heady laughter and the clink of wine and glasses and pure entertainment. There are a lot of places I need to explore in Puerto Galera but nevertheless I can still say that it is a friendly place for nature enthusiasts. White sand beaches and luscious mountains, great views above ground and underwater, there are just so many of them that you’ll find yourself not wanting to leave after your time off is up, like what happened to me!